Q: What the heck is a flying boat? A: A Seair Flying Boat is an ultralight aircraft, designated as a 'trainer' ultralight because it has two seats. It is basically a hang glider wing mounted on a small inflatable boat, powered by a Rotax engine. The bottom line is that ultralight flying is as safe as you want it to be. If you thumb your nose at Mother Nature, or don't take care of your craft, you can invite problems. 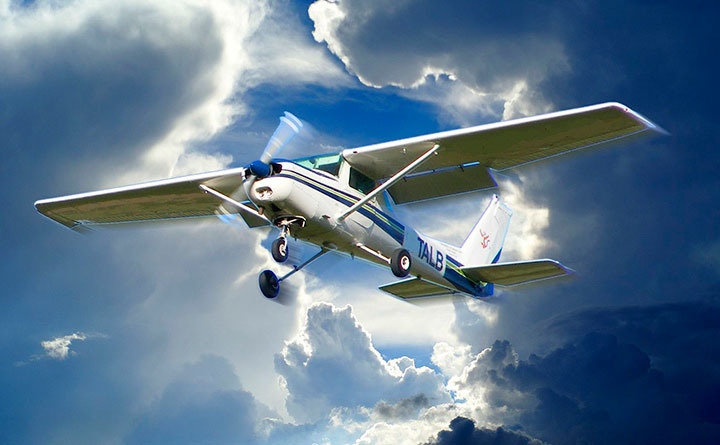 But, with the right maintenance, the right respect for the weather, and the right sense in choosing flying locations, your ultralight flying can be safer than driving to the airport! Q: Do I need a pilot's license to fly this? A: If you live in the United States: Nope, you don't need a pilot's license to fly a Seair Flying Boat. 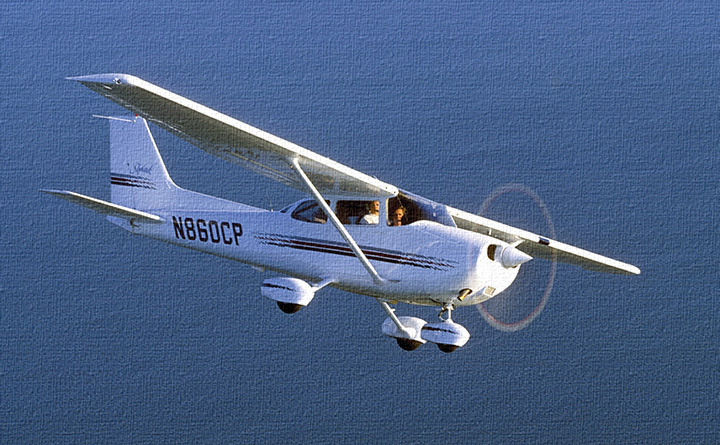 Ultralights are regulated by different industry groups. You do need to be certified by one of these industry groups to fly legally, and since the Seair Flying Boat is considered a '2-seat trainer' ultralight, you need to be rated as a Basic Flight Instructor (BFI). Check out Aerosports Connections or United States Ultralight Association (USUA) web sites for more details about ratings. If you live outside the United States - regulations vary by country. You need to check with your local flying authority to find out the rules for your area. Q: How much does it cost for training, and can I be trained where I live? A: If you live in the United States - Training varies quite a bit from instructor to instructor. To be rated as a BFI, you must first receive your solo rating (10-15 hours of dual instruction, 5-10 hours ground school, 10 hours of solo flight, and pass a test), then fly (unsupervised) for another 40 hours of solo flight, and pass another exam. We generally advise our customers to plan on around 00 for training, although each instructor can charge a different amount. Although Seair does offer training, it can be very expensive if you have to travel for training or bring a trainer to your area. In most cases, you can receive weight-shift training in a ground-based ultralight in your area. That training will provide most of the training you need to fly a water based weight shift craft like the Seair Flying Boat. In some cases, there may be flying boat training in your area. If you are certified for weight shift ground based ultralights, then it will be relatively few hours of training for you to be certified for weight shift water. If you live outside the United States - we still require you to get your flying training and be certified to fly this Seair. 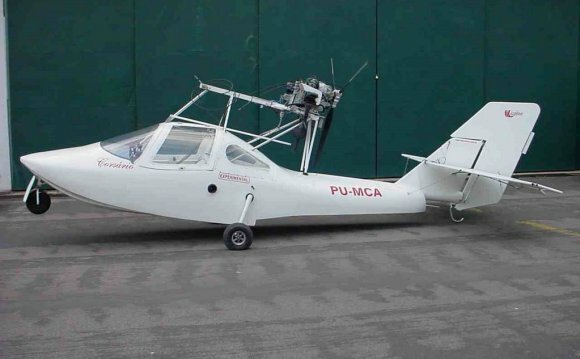 If you can provide training certification from your country, we can work with you but we do not sell our ultralights to people who are not trained to fly these types of planes. Q: Why does it takes so long to get a Flying Boat? A: Seair tries to manufacture the Flying Boat in groups of 10. That way we get the biggest discounts on the parts that we have to have manufactured, and the parts we buy in bulk. The boat, frame, and wings are all substantially cheaper if we can order them 10 at a time. So to keep our (and YOUR) costs down we are currently manufacturing boats in two cycles each year - Nov/Dec (with January deliveries), and May/June (with June/July deliveries). If we get more orders than we can fill in those two cycles, we may add a third cycle. Depending on when you order, you may have to wait as long as 6 months, but some times you may get it as quickly as a few weeks. However, don't assume if you order in April that you will get a boat in May - if we have our allotment of 10 boats sold, you may miss the summer and have to wait for the next group of 10 boats. Early in the year is an excellent time to order so that you have your boat by early summer. We process orders first-come-first-served, so the earlier you get your order in, the better chance you have of getting a boat sooner. If we get enough orders we will add production cycles in our summer season. Q: Do you have dealers? How can I go for a flight? A: We are currently looking for dealers in all areas. Seair does not have a lot of dealers since we are still a pretty young company. But we are looking for pilots who want to represent Seair selling Flying Boats and doing training. Contact us at information. If you do not live near a dealer, then the only way to go for a flight is to come to our Illinois office, or to catch us on a road trip. Occasionally we take road trips and will come to your area for a flight. Otherwise, ATA Airlines has pretty cheap flights from most areas of the country to Chicago (Midway) which is the closest airport. If you have to travel to see us to take a flight, we will deduct the cost of that flight from your purchase (up to $500). PLEASE check with us before buying your tickets!! We are obviously very weather dependent, but we will do our best to support your travel plans if you are coming to the area. Q: Where can I fly? Do I have to take off and land on water? A: If you live in the United States, you can fly anywhere that meets the requirements for ultralight aircraft. Generally that means in uncontrolled airspace above non-congested areas. You can NOT fly near other airports, nuclear plants, military bases, or cities. You also can not land in state or national parks (without prior permission), and you need to be careful about landing on private lakes. You can fly as high as 8000' (although we don't know why you would WANT to fly that high), but the 'best' flight is at around 1000'.. just high enough to clear the trees but low enough to see everything! You need to plan for around 200' of free water to take off or land. You can land in a cross wind (on a river for example), and you only need about 6" of water depth. At this time, you MUST take off and land on water (although you could make at least one landing on something harder! ), but we are working on a wheel system that would let you be amphibious. If you live outside the United States, flying rules vary by country. You should check with your local flying authorities to find out what the rules and regulations are for different areas in your country. Q: What makes the Seair Flying Boat better than the competitors? A: The Seair Flying Boat has several features that make it quite different than some of the competitor's flying boats. Here is a quick explanation of some of the differences. The Aero Adventure Aventura is a family of ultralight amphibians marketed as a kit aircraft by Aero Adventure Aviation of Rockledge, Florida.